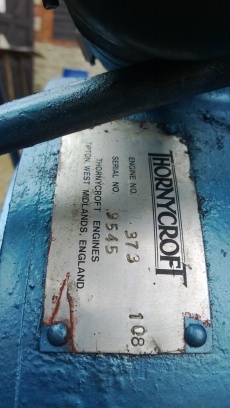 Thornycroft T108 47hp Four Cylinder Heat Exchanger Cooled Marine Diesel Engine Complete With Gearbox and Original Thornycroft Control Panel. This engine was removed in full running order and when test run at our workshops, started on the button without even heating the glow plugs! Only removed due to the boat (Moody 34) being written off as a result of fire and smoke damage. 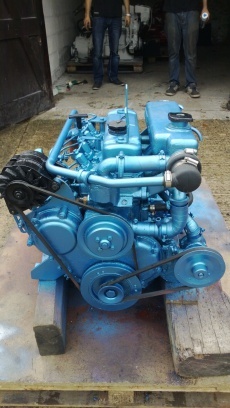 Fitted with a Hurth 2:1 reduction gearbox and offered with the bonus of an original Thornycroft Control Panel. 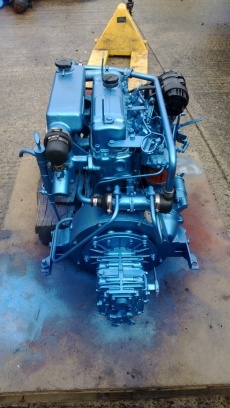 The engine has been serviced, cleaned and repainted and is ready for more hard work.